In February of each year we host a fishing trip to somewhere warm and exotic... preferably close to the Equator. 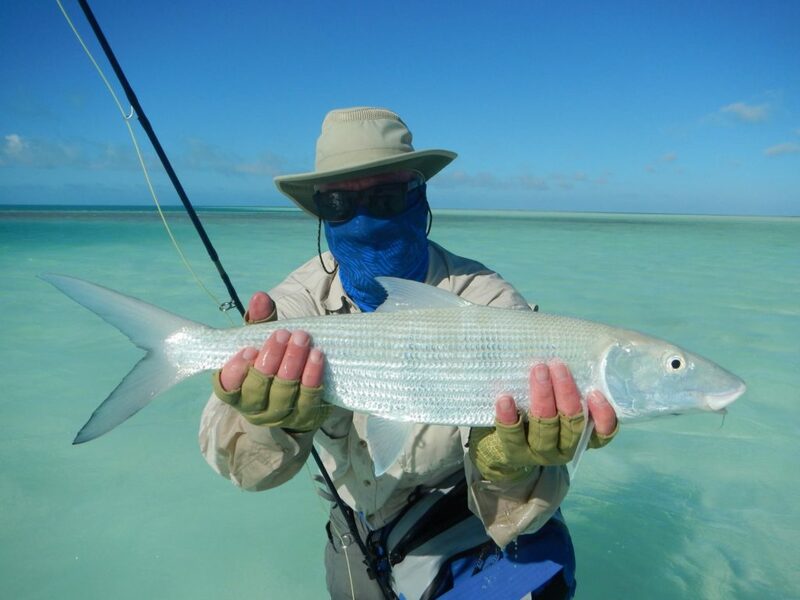 The last few years we have been taking a group of anglers to the Republic of Kiribati, also known as Christmas Island and will be doing so again this February. Christmas Island is a giant coral atoll located 1,300 miles south of the Hawaiian Islands, 100 miles north of the Equator. 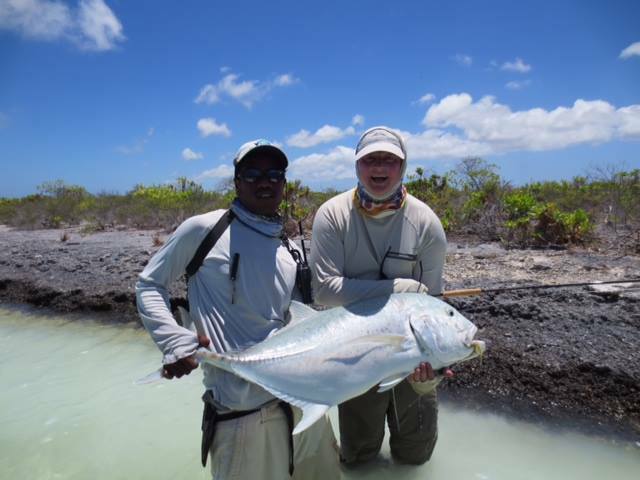 The fishing for Bonefish and Giant Trevally is fantastic. As the host, we make all the arrangements booking you into a local lodge and setting you up with knowledgable professional guides. 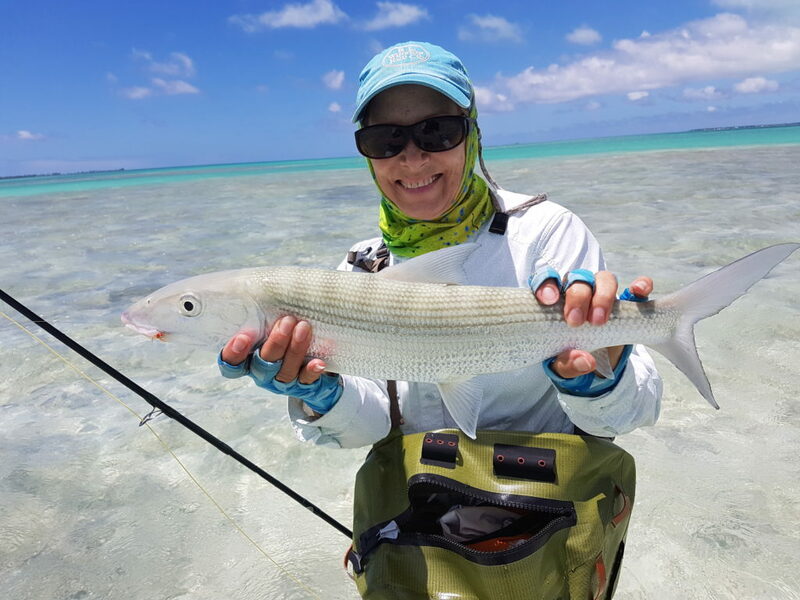 If you have an interest in fishing for Bonefish and Giant Trevally at Christmas Island, give us a call to discuss trip dates, rates, flights and what to bring. 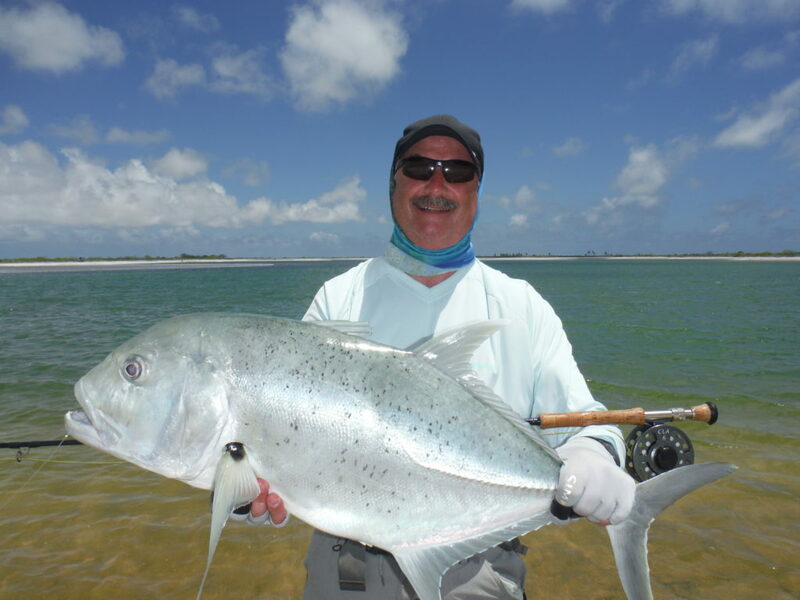 Call us at 1-800-667-2311 to discuss coming along on this once in a lifetime fishing adventure. In February of 2017 we hosted our annual fishing trip to Christmas Island. We made all the arrangements booking our group of 16 into the “Villages”, a local lodge. The Villages features eight air-condition double twin bed bungalows with private baths, comfortably accommodating our group. All our meals were prepared by local chefs and served onsite in the dining room. 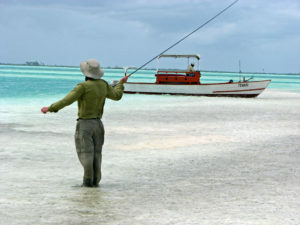 Each day the head guide scheduled our daily fishing venue according to the tide and sun position. In the morning each group would leave the beach in their assigned skiff with their personal guide and boatman. Each angler had their own local guide, so it is one on one, which is great for all fishers regardless of their level of skill. On Christmas Island we fished primarily for Bonefish and Giant Trevally (G.T.s). 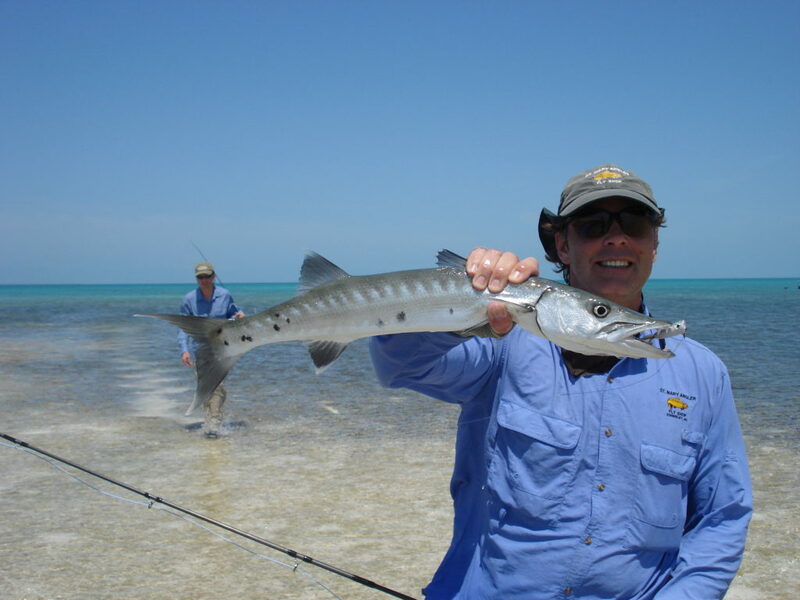 The approach includes your guide carrying your 12 weight rod while you fish for bonefish, just in case a GT is sighted in your area. We used 8 weight rods for the bones. For those fishers who needed it, we will put together a gear package with custom tied flies for their use on the trip. Our group caught between 10-30 bonefish a day with chances to catch some big GT's. We also caught different reef fish occasionally when we ventured further out into the blue. Bonefish averaged 2-6 pounds, with several fish over 8 pounds being caught during the week. Many GT's were landed as well, with the average size in the 5 to 8 pound range. That said, some of the guys were targeting the big GT's. 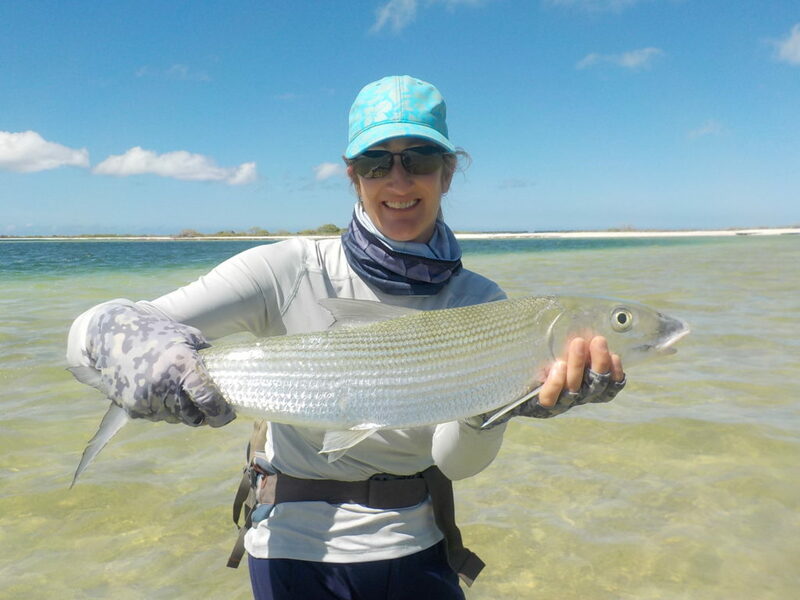 The largest bonefish landed was 9 pounds while the biggest GT came in at a whopping 50 pounds! We are taking a group to Christmas Island again this February 21 to 28, 2018. We still have 3 spots open so give us a call if you are interested in coming along. You will have a great time. 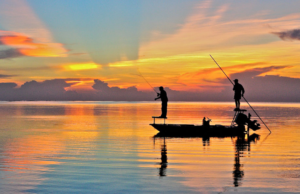 The price of the hosted trip is dependant on the destination, the desired accommodations, and other factors which change from year to year and from angler to angler. So call us at 1-800-667-2311 for the latest estimates.